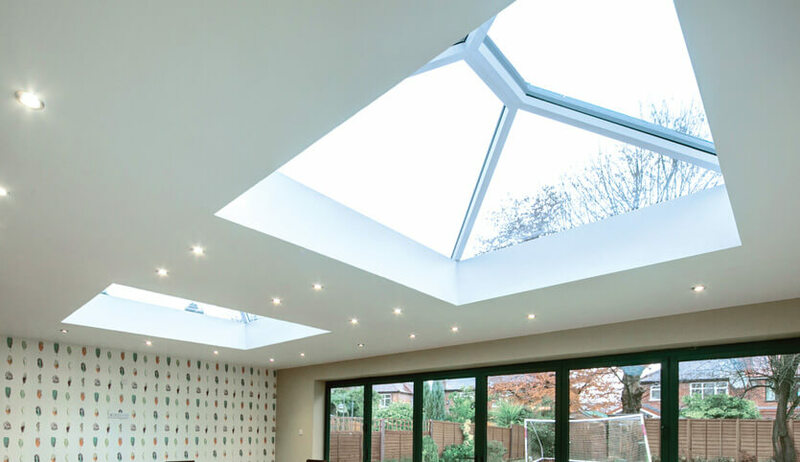 A lantern roof system can be installed as part of a new or replacement flat roof extension or as a new build conservatory roof or conservatory roof replacement. It brings a wealth of natural light into any property and is secure, stylish, and thermally efficient. Lantern roofs are great for both modern and traditional properties. The large areas of glass create a light and airy feel while the vaulted ceiling provides extra head space, creating a pleasant and relaxing atmosphere. 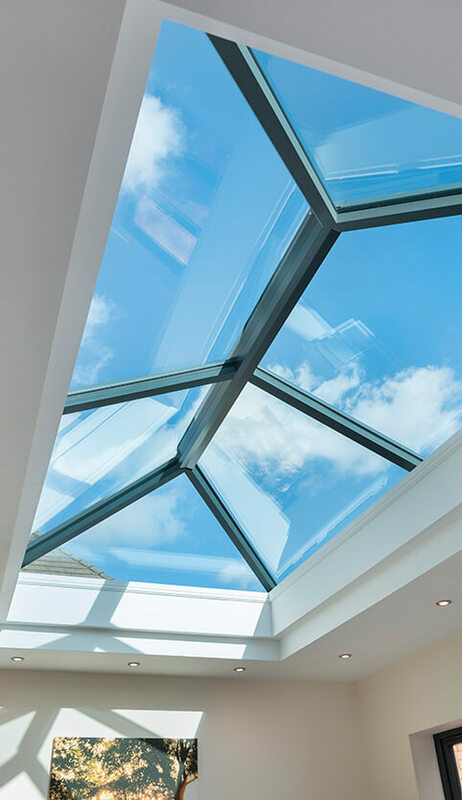 At FineLine, all our lantern roof systems are made to measure and designed to meet your exact specifications. They can incorporate as many opening windows as you require to maximise ventilation capacity. They can be designed in a variety of styles including octagonal, square, pyramidal, and double hipped. Install your lantern roof directly you’re your extension or on a raised frame to increase ceiling height. 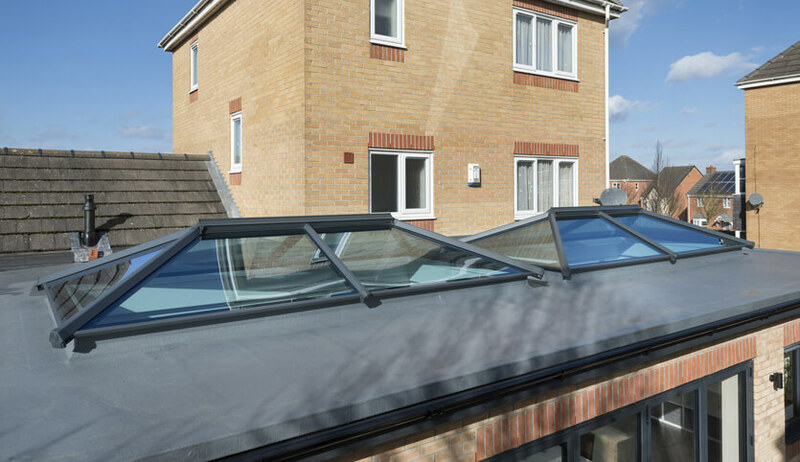 Our lantern roofs can be fitted with solar control and self-cleaning glass. This helps you to regulate internal temperature all year round and reduce maintenance levels. Created using thermally broken aluminium or uPVC profiles, their frames are strong enough to support large sections of glazing while their slim sightlines enable natural light intake to be optimised. 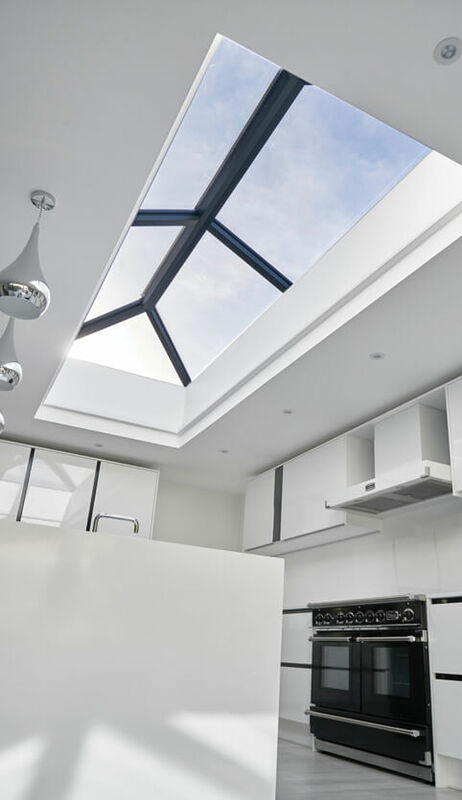 Our lantern roof systems are supplied by high end glazing manufacturers. 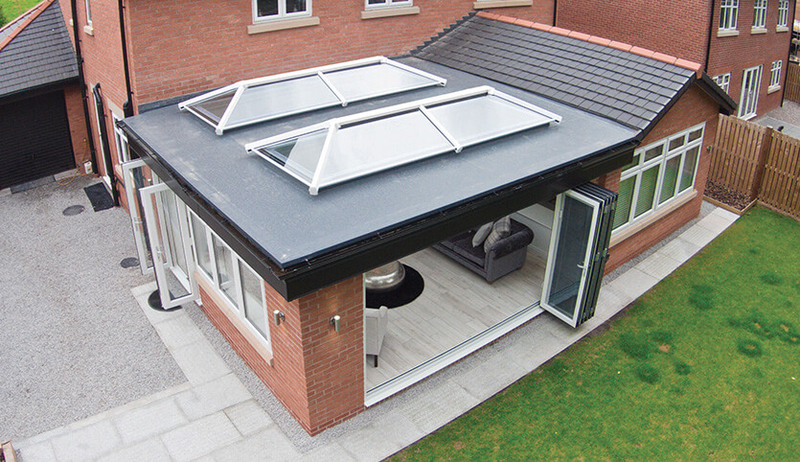 We install the Ultra Sky lantern roof from Ultraframe and the Skypod from Eurocell. Both lantern roof systems are designed to create a stylish raised roof which is both high performing and aesthetically attractive. With less frame and more sky, you’ll be able to enjoy your extended living area all year round. Our lantern roofs are available in White, Anthracite Grey and Black.